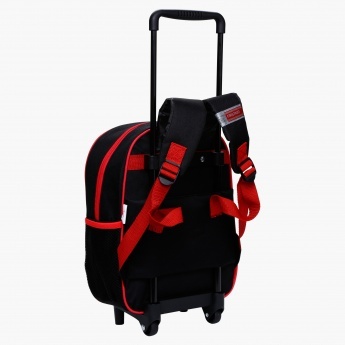 Make a great addition to your kids existing bags collection with this lovely set that is designed to make the travelling even more convenient. 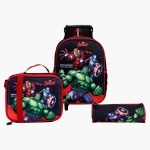 The Avengers print looks captivating while the long handle along with two wheels will help your kid slide this backpack easily. The set also includes a lunch bag and pencil case for added functionality.